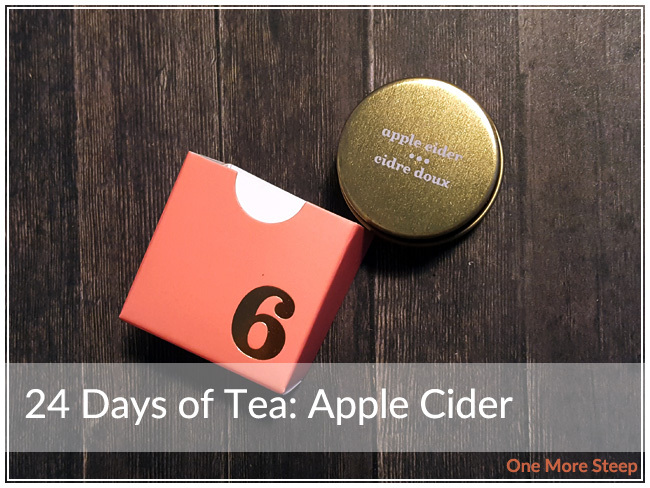 For Day 6 of the 24 Days of Tea advent calendar, it was Apple Cider. I really quite like apple teas, one of my favourites is Honeycrisp Apple. Apple Cider, on the other hand, smells like apples and vanilla icing – the kind you can buy in can that comes premixed so all you have to do is slather it over a cake. The tea mix in this little calendar tin is chock full of apple pieces, and despite the vanilla icing smell to it, I’m eager to give it a try. Apple Cider is made up of: apple, apple pomace, sweet blackberry leaves, apple flavouring, artificial vanilla and cream flavouring. The calendar packaging suggests steeping Apple Cider in near-boiling water for 4 to 7 minutes, which does match what it says on the product page. Near-boiling water is 90-95°C (194-203°F). I steeped Apple Cider for 6 minutes. 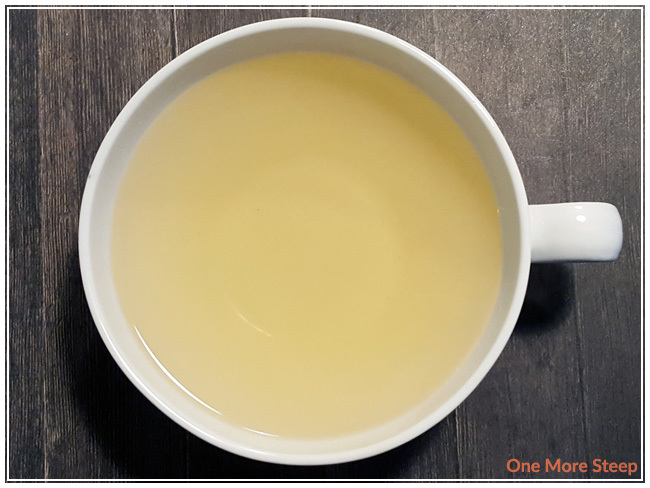 Apple Cider steeps to a nice golden yellow colour, and there is this sweet apple aroma that wafts up from my cup that is quite enjoyable to just inhale. For the apple infusion itself, I find that it has a great sweet apple taste. The one thing that I find very lacking in it is the spices. 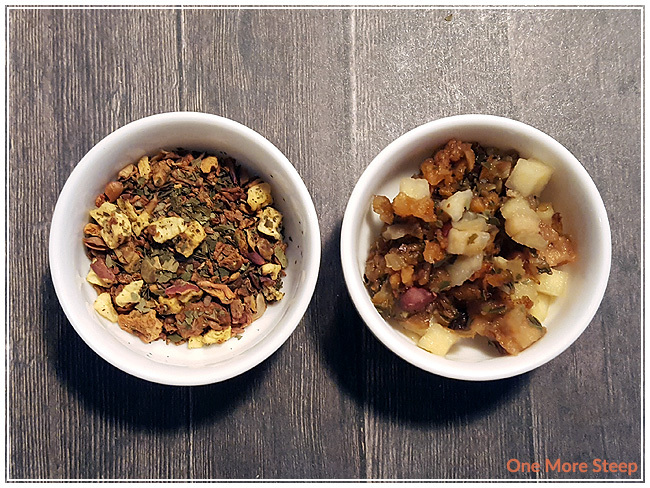 When I think of apple cider, I often think of mulled apple cider so I was really hoping for some cinnamon, nutmeg, and cloves in the flavour profile. This Apple Cider is sadly lacking in all of that and I do wish that I had steeped it with some cinnamon to give it more of a mulled apple cider flavour. I do not resteep herbal infusions. 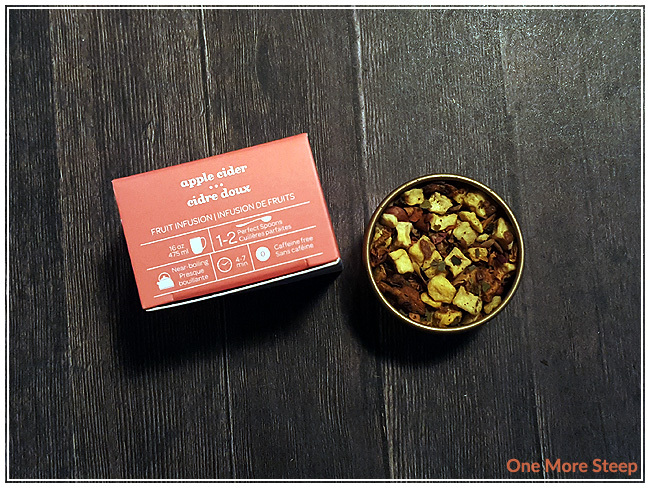 I liked DavidsTea’s Apple Cider. It has a great sweetness to it that doesn’t taste artificial, and the apple flavour itself is quite tasty. If it had more of the spices that I associate with apple cider, I would have given it a higher rating. It’s not a bad version of apple cider, but it isn’t quite what I was expecting (or hoping for).